Currently being refurbished, looks as though it is going to be another one of those dreadful, all the poor quality food you can eat for a fiver, chinese banquet places. 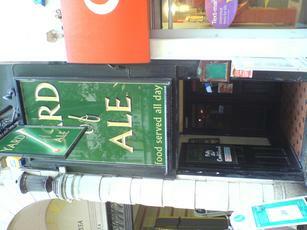 It's a typical "local" boozer, but based in the City Centre. Quite a number of screens dotted around the place for watching sport, but as it's in the basement, it's so hot in there that it, at times, becomes unbearable. My last trip here a few months ago had me on some kind of IPA, which while well-kept, wasn't that cold. Two other ales were on, but weren't sampled. The toilets were horrendous - no toilet seat, no toilet paper, puddles on the floor (probably from the blocked trough urinal), no soap, and dodgy taps. A couple of quiz machines fittered about makes it a decent pub, but it's nothing more than average.